ST. LOUIS — Members of the new-look St. Louis Blues admitted it might take some time to mesh after a disappointing 5-1 loss to the Winnipeg Jets in the season opener Thursday night. Of course, that process will have to happen on the fly as there is no delaying the season. 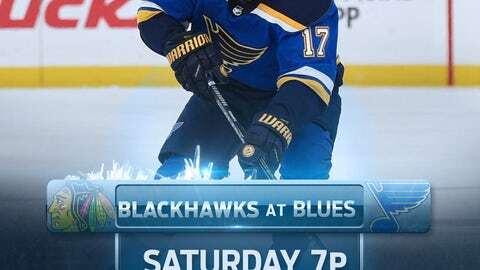 To wit, the Blues host the Chicago Blackhawks on Saturday night in the second game for both teams. Thorburn gives the Blues, who began the season with just 12 forwards, an extra body up front. The non-conventional roster formation was necessary in part due to defenseman Robert Bortuzzo sitting out the season opener while serving the final game of a suspension from the preseason. With Bortuzzo back for the Chicago game, an extra defender was unnecessary. The Blues take on a Blackhawks team that’s riding high after a season-opening, 4-3 overtime win at Ottawa. Right winger Patrick Kane roofed a backhander 38 seconds into overtime for the game-winner after the Blackhawks tied it in the third period.